Today we saw another gruesome reminder of how dangerous the game of hybrid archery has become; the man seen on news today still had the arrow struck on his skull. God knows how he survived to see another day. He was among the luckiest few victims, while there were many who weren’t as fortunate. In Bhutan, if we had statistics, we might find that arrow had killed more people than tiger, bear and leopard put together. In fact, once not very long ago, one arrow hit a member of parliament, as if to ask for intervention from the house. If we check through newspapers and hospital records we won’t believe the amounted invested in evacuating and treating people hit by arrows. Only recently I remember two incidences where helicopters had to be deployed to evacuate the victims. It’s time to acknowledge that the hybrid archery played with foreign hunting weapons is not only dangerous but also economically and socially damaging. First of all this new games has threatened and totally confused the very identity and existence of our national game (Read Nawang P Phuntsho's The way out for our National Sports). The next generation of Bhutanese children will not even know that we had an indigenous game called archery. But I am not going to discuss much on its cultural, social, and economical impacts, which can be a huge subject all together. Let’s just look at the safety issues of the game. We know that the gaming equipment are imported weapons, which anyone with money can use without even looking at the experience. The archery playing fields have no significant safety measures in place, though it attracts huge crowd during tournaments. Most archery playing fields are located dangerously in public places. 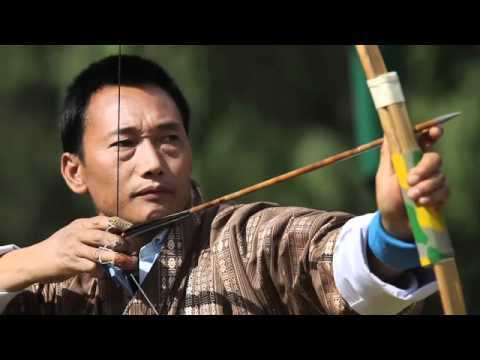 In Paro there are incidences of stray arrows hitting people walking in the town, in Thimphu Changlimenthang if an arrow goes astray it can hit a footballer and you know how archery field occupies similar dangerous locations across the country. To make it worse, anyone with set of the gaming weapons can play in this critical locations. What safety measure can be taken to avoid mishaps in this lethal game? Relocate Archery playing fields away from populated areasMake it mandatory for all archery fields to have standard safety pavilions for spectatorsSince the equipment is a weapon, the owner must have license to own it. The arms license should be issued after thorough background check. No person with drinking history should be given the license.Apart from owner license, there should be a pass, which certifies a person to play. 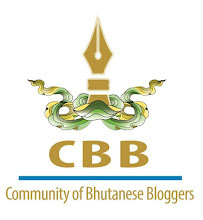 Like the driving license, if you aren’t experienced enough you should play in remote fields and not in public grounds.Alcohol should be ban from archery fields and defaulter should be rid of their playing pass.The tournament organizers should be held accountable for any mishaps during the tournament.Encourage private playing fields with lightings so that amateur players can practice at night. My suggestions might sound a little crazy for the moment but considering the craziness of the games itself they are only reasonable. In fact total restriction should be imposed on import of such weapons, because we never know when it will be used beyond the gaming fields. It’s during such goods that we have to make tough decisions. This morning a stray arrow hit an unsuspecting biker in Paro. How many more incidences should happen before we realize that the Weapon we use for the games is lethal and archery ranges in public spaces are dead traps? Isnt it enough example already?